The Cookie Cutter TJ got a ‘new’ set of injectors thrown at it. 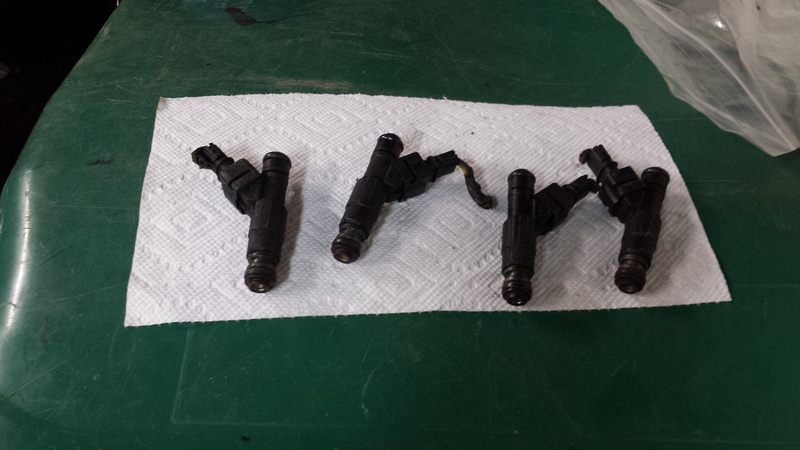 I ditched the stock 53030778 Chrysler injectors for the Bosch 0208155703’s. 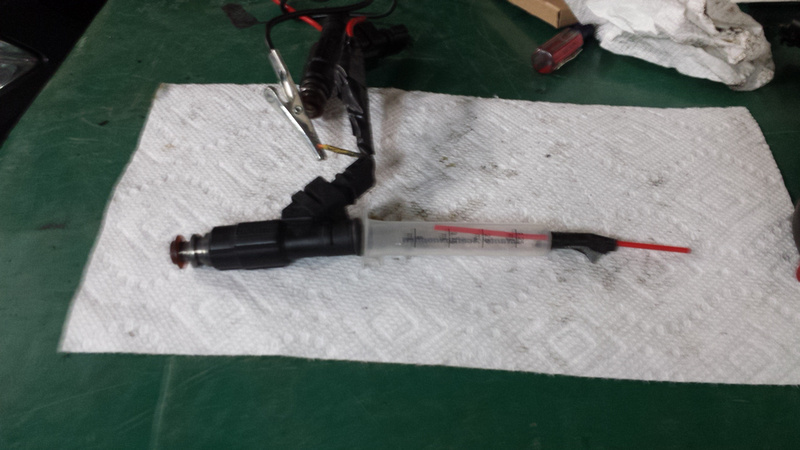 With the injector “On”, you hold the syringe down while spraying carb cleaner through the injector. I was able to free up 2 of the stuck injectors this way, and clean them up enough to get a good spray pattern out of them again. So win!